For this project, The Things You’ve Had, the artist has collaged a surreal dreamscape comprised of used car, beer, airline, and movie billboards. 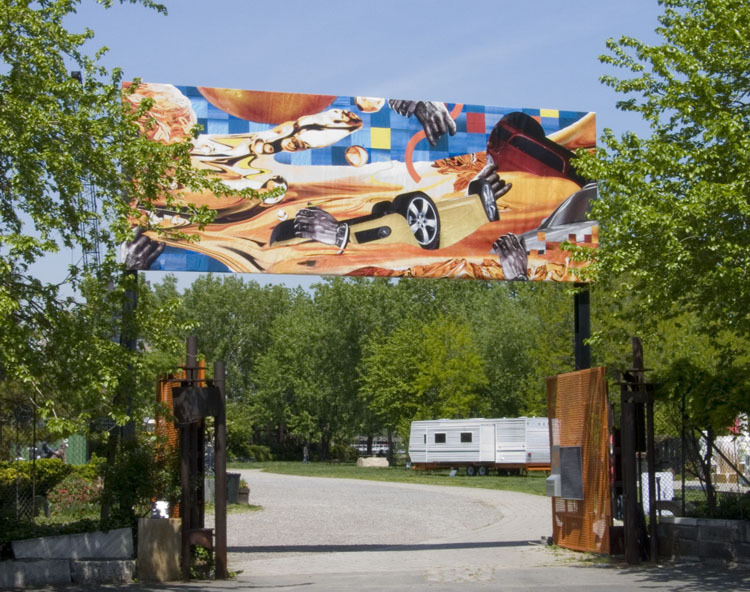 These repurposed billboards have been cut and recycled into a 10′ x 28′ seamless vinyl billboard. The resulting image suggests an imaginary world brimming with eccentricity — far removed from the original billboards’ intents.